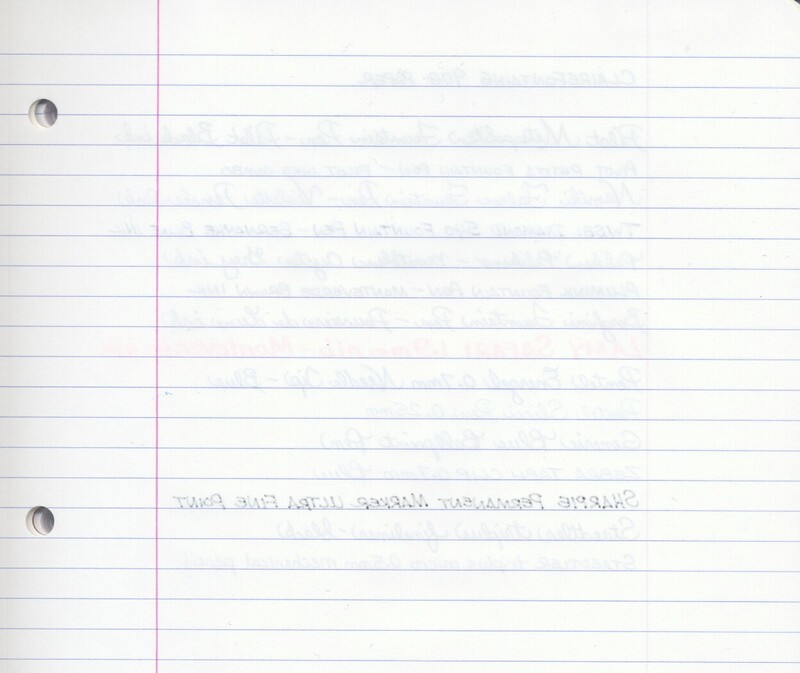 Clairefontaine Loose Leaf Paper Rules! Just about everyone in the USA and Canada is familiar with the bulk packages of loose leaf paper for 3-ring binders that are purchased in late summer at the the beginning of every school year. Loose leaf paper is generally utilitarian: very cheap in quality and price and not meant for enjoying the pleasure of writing. If you’d like loose leaf paper that goes above and beyond common no-frills paper, the exceptional quality of Clairefontaine loose leaf paper will take you to a much higher level. 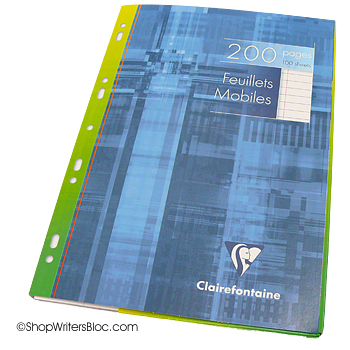 Clairefontaine is a French paper manufacturer that is famous for the fine quality of its products. 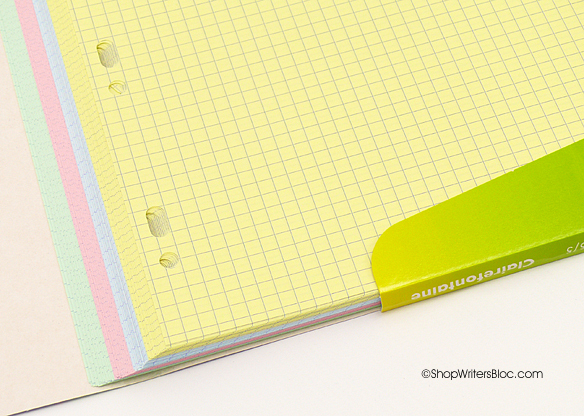 Their loose leaf paper has a weight of 90 g so it is thicker than ordinary binder paper. 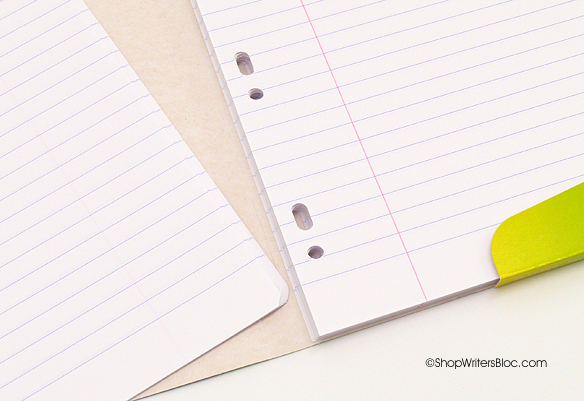 The paper has an ultra-smooth finish that keeps your pen happily gliding across the page. 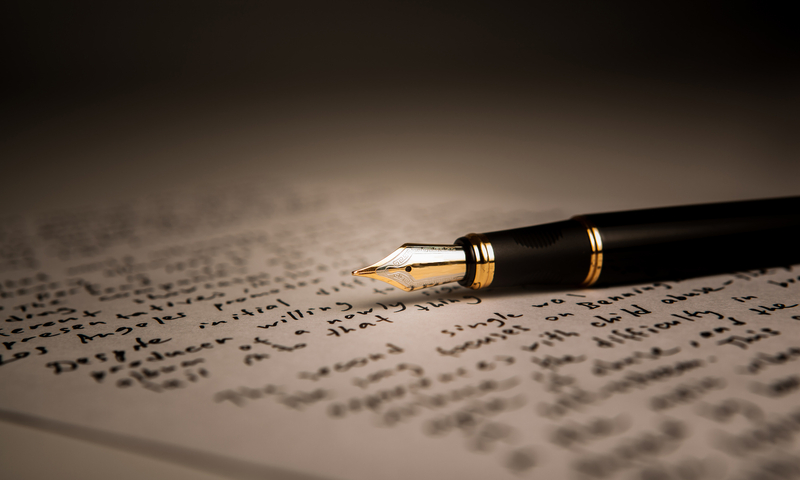 Fountain pens write like a dream on this paper because there are very few, if any, problems with ink feathering, bleeding through or showing through the paper. 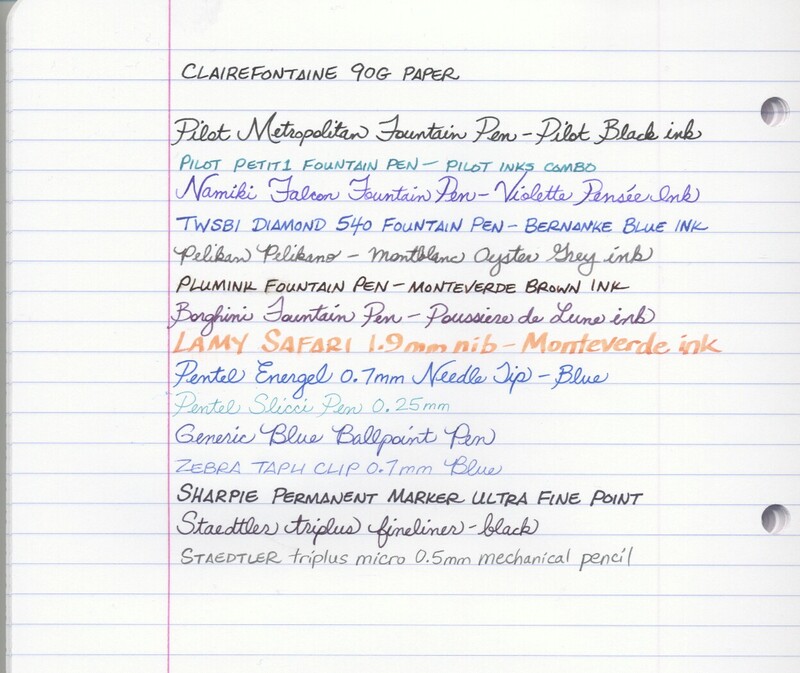 Clairefontaine standard loose leaf paper is bright white so you can really enjoy the full impact of any color of ink you choose to write with. It is also available in packs of pastel colors that can be useful for organization. The paper has pale violet lines and comes in these formats: ruled, French ruled, graph (5 mm x 5 mm grid) and blank. Many of these loose sheets are metric A4 size which is approximately 8 1/4″ x 11 3/4″ compared to common 8 1/2″ x 11″ paper in the USA. They are meant to be held in 3-ring or 4-ring A4 size binders which can be rather hard to come by in the USA but they are regularly imported and sold at Writer’s Bloc. 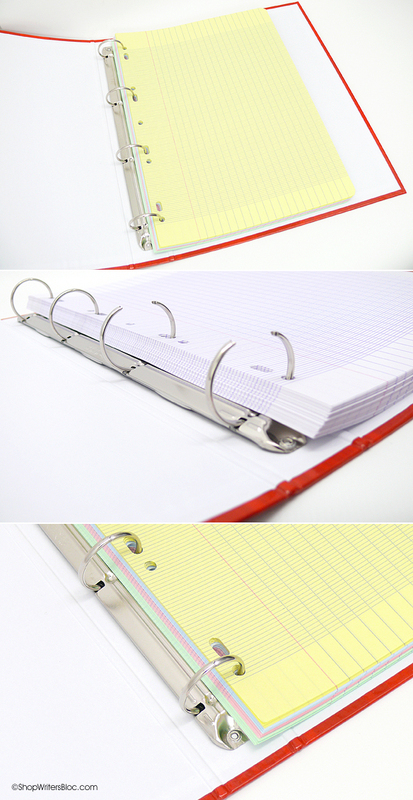 The funky arrangement of holes punched in this paper allows it to fit inside American 3-ring binders, but the paper will stick out a little from the top and bottom of the binder. If you need to use an American standard size binder, this problem can be solved by taking the paper in to a local print shop or office supply store and having a little trimmed off the bottom and top of the pages. Clairefontaine also has double sheets, which are A3 size pages folded in half to make a double A4 size sheet that’s connected at the spine. 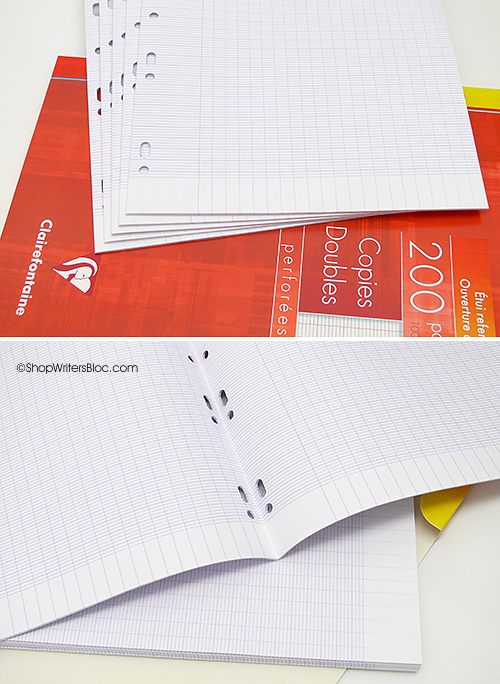 In French they are called “Copies Doubles Perforees” or in English “Double Sheets”. Since Clairefontaine manufactures their own paper, they can guaranty consistent quality and they can control the environmental impact of the manufacturing process. Their paper is made from materials sourced from certified sustainable forests, is chlorine-free and is only printed with natural inks. Clairefontaine supplies most of their own energy and they are committed to waste reduction and recycling. We love Clairefontaine loose leaf paper so much that we make a special effort to import it from France. It takes a few months of travel in a shipping container to get it to the USA but we feel it’s definitely worth the wait!